So you’re angry, nay, seething with fury at Facebook and Mark Zuckerberg and Cambridge Analytica, and you’ve had enough, and you want to do — I don’t know, something. The Tesla guy is telling you to #deletefacebook. Is it time for you to bin your Facebook account for good? OK, but what if Facebook is how you remember people’s birthdays? What if Facebook is how you keep in touch with everyone? What if (gulp) you actually like Facebook, and you just want it to stop shedding your personal data left right and center like an alopecic, uncontrollable dachshund? Fine. Keep your Facebook. Just do this. Here’s the whole Facebook/Cambridge Analytica data scandal in a nutshell. An organization created a Facebook personality quiz app. The app makers gave this data to Cambridge Analytica, a political consultancy agency, which then used it to target specific Facebook users with ads to influence their vote. Most of those 87 million users would have had no idea their data was harvested and used in this way, since they never even took the original Facebook test — a friend of theirs did! People are very, very, very angry about this. And with good reason. But the silver lining — such as it is — is that this incident has shone the spotlight right onto the crazy amount of personal data we share with external apps on Facebook without really thinking about it. This incident has shone the spotlight right onto the crazy amount of personal data we share with external apps on Facebook without really thinking about it. All those tests and quizzes and apps that show you what you’d look like with a mustache, they’re not doing it because it’s their life calling — they’re doing it so you’ll give them permission to sweep your data (and sometimes your friends’ data), and then sell it — or use it themselves. But you can stop them. And all it takes is a couple of clicks. 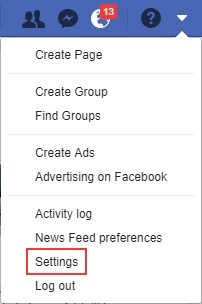 Log into your Facebook, click on the drop down menu in the upper right corner of your screen (the little downward arrow), and click Settings. Now click the Apps tab on the left-hand side menu. This opens the App settings screen, which shows you a list of the apps in which you’re “Logged in with Facebook”. Click on the tick box next to any app you wish to deny (or go nuts and select all of them), and hit the blue Remove button. They had it coming. They had it coming. They only had themselves to blame. Was this good for you? Still tingly for more? If you want to take things further, or just need to take some time out to cool off, remember that you can deactivate (but not delete) your Facebook account for as long as you want. Click the downward arrow in the upper right corner of your Facebook. Select Settings.This opens up the “General Account Settings” screen. Click on Manage account and then Deactivate your account. Facebook will ask you to enter your password, and will then show you some pictures of friends and relatives as a ploy to make you change your mind. STAY STRONG, and deactivate. Mommy’s waiting for you in the light. Super easy. All you have to do is log back in again. You’ll find your account just the way you left it. Just remember — and this is important — that if you use your Facebook credentials to log into any service other than Facebook, your account will be reactivated at the same time. If I do this, will my personal data on Facebook be 100% safe? Look — no. That’s a longer conversation we need to have. But it will be safer for now, and that’s something. Juggling our need for privacy with our need for convenience is a crazy circus act we’re all engaged in, and frankly, we’ll take all the help we can get.